Each year, more than 800,000 take TOEFL (Test of English as a Foreign Language, internet based test); if English is not their first language, these students must pass the TOEFL to gain admission into universities where instruction is in English. In addition, TOEFL is also used to evaluate English proficiency by many government, licensing, and certification agencies, and exchange and scholarship programs. This book will help non-native speakers build or renew vital vocabulary skills. 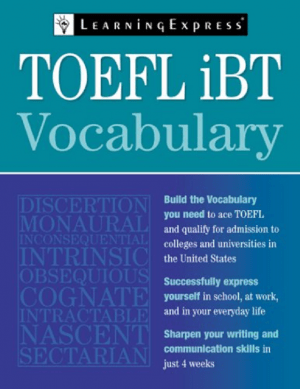 Featuring targeted practice, a verbal skills review, commonly tested words, and test-preperation tips, this book will help test-takers score high onthe TOEFL.